Prepare to holiday with Topman. The British brand heads into summer with new swimwear styles. Model James Kakonge helps the brand kick off the season on the heels of an outing with British GQ . Front and center, James models bold swim shorts. Topman embraces a vibrant series of statements this summer as high impact colors join eccentric prints. 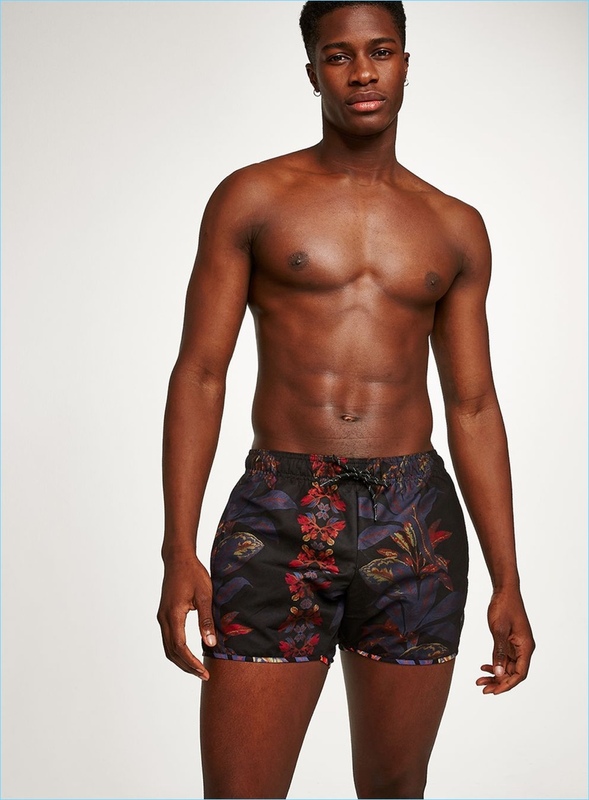 James wears standout styles that range from swim shorts covered in cheeky red lips to a regal baroque print.